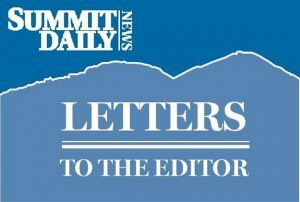 It’s very disappointing to see the Summit County commissioners eliminate 102 beds from our already strained employee housing market with this week’s decision to reject Vail Resort’s application to temporarily extend the Tenderfoot beds program at Keystone. No one liked the idea of bunk beds or doubling occupancy when it was initially introduced three years ago as an emergency measure, and I think we can all agree that it’s still not an ideal arrangement. But it’s better than nothing, which seems to be the direction the county chose with Tuesday’s decision. Vail’s proposal to continue offering over 100 workforce beds while the Wintergreen housing project is being built will ensure that we don’t subtract workforce housing inventory from the county when the need is greater than ever. I applaud the commissioners for all the work they’ve done to create sustainable workforce housing solutions, and I encourage them to continue supporting every possible effort to find safe and secure housing in this time of crisis.